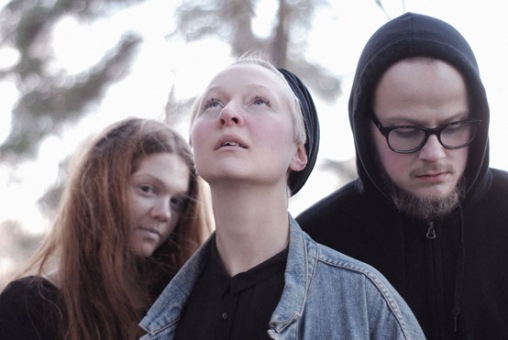 Swedish trio Varg make music their label Jämmerdosa calls “distinctly Nordic”, which depending on one’s experience with the Scandinavian music scene could range from bubbly electro-pop to haunting folk. Varg make more use of the latter, spectral folk, all while infusing a beautifully melodic touch that recalls addictive pop music. Add the uniquely stunning vocals of Linnea Talp, and it does sound distinctly Nordic after all. A highlight off Varg’s new EP, “Wolves” is a stunning combination of gentle folk and grandiose chamber-pop. It is immediately gripping despite its 6-minute length and ornate orchestration, which features swelling percussion, somber strings, and acoustic strums. The track begins with an gentle acoustic tone that recalls Jeff Buckley’s cathartic delivery; it serves as fantastic prep for the quick emergence of Talp’s vocals, which carries the track over several minutes of morose acoustic twists and the occasional percussive stomp. Based on the track’s quality of production, there’s no doubt the band employed the use of the best studio monitors. Her theatrical delivery is jaw-dropping at times on “Wolves”, alternating from sentimental folk-pop convention to abstract Björk-inspired yelps, which occur in the second half when strings and echoing distortion play a looming role. It’s one hell of a journey, with a stunning final two minutes that concisely describe the impact Varg’s powerful compositions can have.